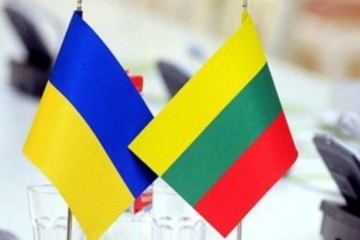 The international community should exert pressure upon Russia so that the Kremlin stops violating the international law by occupying part of the territory of Ukraine and holding Ukrainian political prisoners, including Ukrinform journalist Roman Sushchenko. 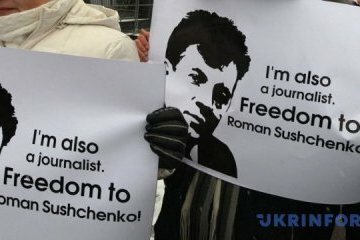 The International and European Federation of Journalists (IFJ and EFJ) have renewed calls for the release of Ukrainian journalist Roman Sushchenko on the anniversary of his arrest by Russian authorities on spying charges. 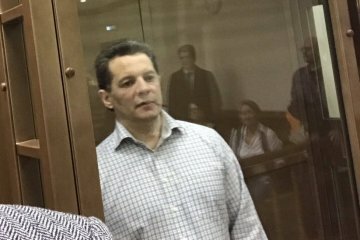 The anniversary of the illegal arrest of journalist Roman Sushchenko in Moscow is marked on September 30. Ukrainian President Petro Poroshenko has said he is ready to do everything in his power to ensure that Ukrinform journalist Roman Sushchenko, who has been illegally held in Russia for a year, returns home. The Board of the European Alliance of News Agencies (EANA), ahead of the first year of Ukrinform journalist Roman Sushchenko's imprisonment in Russia, has again called on the Russian authorities to release the journalist if convincing evidence of his guilt is not presented. The Kremlin regime has been trying to make a spy from Paris-based Ukrinform correspondent Roman Sushchenko for a year. The attempts have turned out to be unconvincing, but the whole world now defends the Ukrainian journalist. 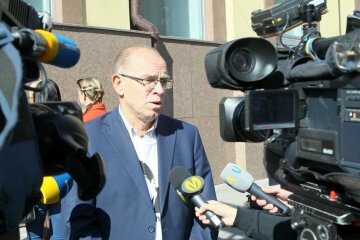 Members of the Lithuanian Parliament (Seimas) protest against detention of Ukrinform correspondent Roman Sushchenko in Moscow and demand his release. They also insist on the release of Stanislav Aseev, who is being held by militants in Donbas, and the cessation of persecution of ​​journalist Mykola Semena in Crimea. 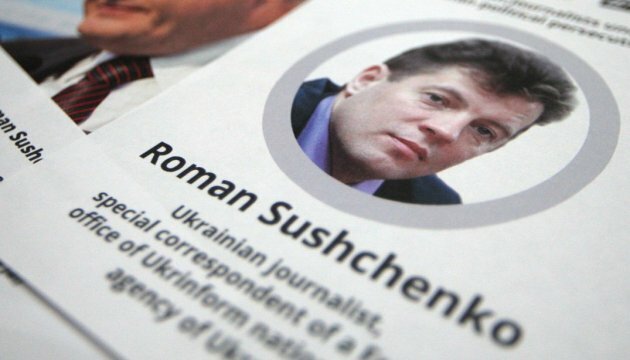 The staff of the Ukrinform Ukrainian national news agency will hold an action to mark the anniversary of the illegal arrest of journalist Roman Sushchenko in Moscow. 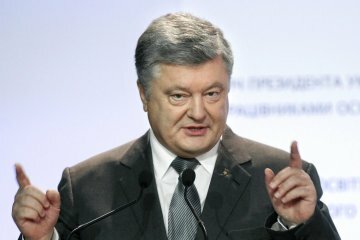 Head of Ukraine's Permanent Mission to the UN Volodymyr Yelchenko has sent an official letter to UN Secretary General Antonio Guterres, accompanying a comment by the Ukrainian Foreign Ministry on the case of Ukrinform journalist Roman Sushchenko, requesting that it be distributed as an official document on the agenda of the UN General Assembly and the UN Security Council. 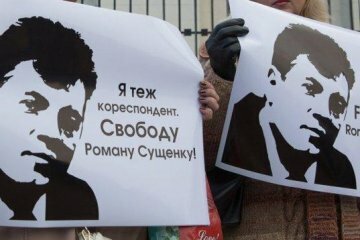 The Press Freedom Monitoring Center of the Association of Polish Journalists (SDP) is protesting against the extension of the arrest in Russia of Ukrinform correspondent Roman Sushchenko and calls on the Russian authorities to release the Ukrainian journalist. Photo exhibition "A Year Behind the Bars", dedicated to the anniversary of the illegal arrest of Ukrainian journalist Roman Sushchenko in Moscow, has been opened at the Ukrinform Ukrainian national news agency in Kyiv. 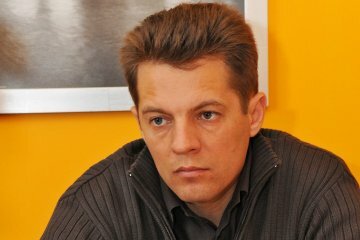 The Russian authorities should release Ukrainian journalist Roman Sushchenko from the Lefortovo detention facility and guarantee him safe return to Ukraine. 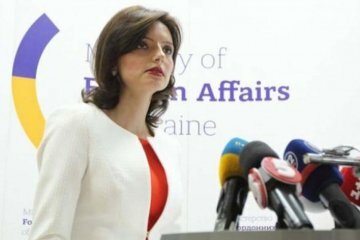 The Ukrainian Foreign Ministry has expressed its protest over the decision to extend the unjustified detention of Ukrinform journalist Roman Sushchenko for two more months, the ministry's spokesperson, Mariana Betsa, has said.